Industrial Augmented Reality has finally come of age. It’s no surprise – for years there’s been much hype around Augmented Reality (AR) and Mixed Reality. AR used to be the domain of the Glass-hole or the Pokémon gamer. But no longer. 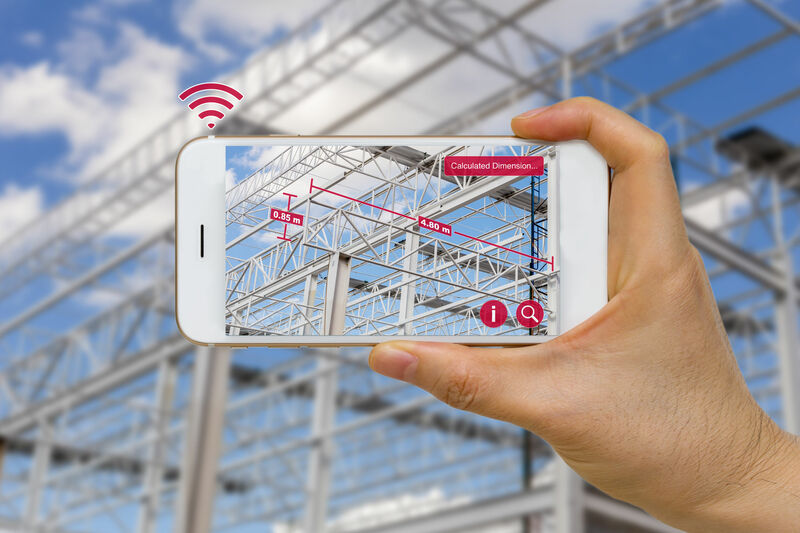 In a recent report by PTC, the $1.6bn Industrial IoT and Augmented Reality specialist, it says they are expecting 86% of industrial enterprises to launch customer focused AR projects in the next 12 months. At the moment, there’s a lot of talk about enterprises going through “digital transformation” programs. In fact, they seem to be turning to Industrial Augmented Reality as a way to differentiate their goods and services (50%) and offer more value to their customers, generate higher revenues (28%) and create new business models and revenue streams (17%). Interestingly, internal projects get a look in too. There is expected to be a significant increase in investment in Business to Employee (B2E) projects. Organizations are waking up to the potential of IAR to increase operational efficiency (44%), support training and skills transfer (39%), lower costs by harnessing AR (33%) as well as increasing manufacturing quality control (28%) and reducing development life-cycles (28%). In fact, AR technology is reaching a tipping point. It’s moving from the early adopters and lab experiments into the mainstream. Market forecasts estimate that the market is now annually worth $11.14bn rising to over $60bn annually by 2023. It’s looking like the strongest growth will be in industrial sectors. Firstly, these organizations have the wallets to invest. Moreover, hardware has matured to the point where the AR technology can be deployed safely and reliably in industrial environments. Gone are the days of the google glass “Glass-holes”. This is now becoming mainstream and cool. The speed at which this market is maturing is impressive. A survey in 2016 showed that just 67% of companies were considering Augmented Reality roll outs – compared to the 86% in 2019. Always on top of emerging technology trends and Industry 4.0, Kumulos previously updated our platform to be feature complete with Unity 3D. This means Kumulos supports the full features set within Unity 3D. This allows mobile app owners to manage the content of their mobile app, manage push notifications, view analytics, generate monthly reports and manage & report on crashes. Also, if it calls for it, they can manage app store optimization (ASO) – all within one single pane of glass. IAR is already being used in a broad range of industries including Industrial AR in the Oil & Gas sector. For example, Mozenix works with some of the world’s top companies to develop high performance mobile apps for Apple ARKit and Google ARCore across many industry sectors. In particular, they have been developing a new application called R2S AR for the oil and gas industry. This use of AR is reducing costs and enhancing operational efficiency. Watch the video. See R2S Technical Director explore their AR application to gain an insight into this latest use of AR. It extends the value proposition of their software to include both remote and on-site users. As you can see, all project data held by clients in R2S is now accessible through intrinsically safe mobile devices. Users can simply point the device at the equipment on-site and R2S AR will provide detailed information on, for example, but not limited to; maintenance history, asset registers and live data feeds. If you want to find out how you too could offer Augmented Reality services, contact us and arrange a demo today. Or, sign up for a free trial of Kumulos and get started with the platform which gives you all the tools for mobile app development in one place. Otherwise, if you are about to embark on an Augmented Reality journey yourself and looking for AR experts to help you, we’ve done some of the leg-work for you. We recently summarized who we see as the leading Augmented Reality Development Companies. Good Luck.